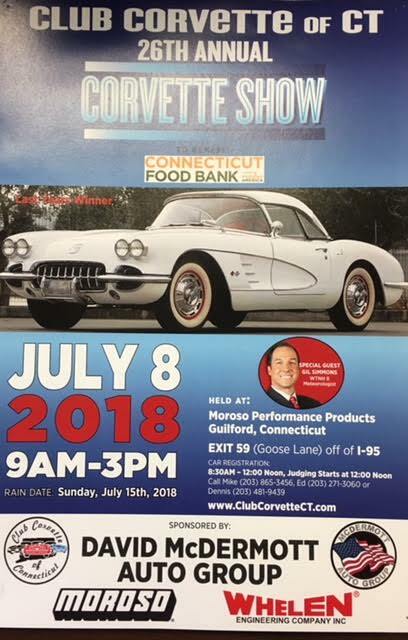 Come out and see us at the American Dry Stripping & Xtreme Coatings tent at the 26th Annual Club Corvette Show & Swap Meet, on Sunday, July 8, 2018, at Moroso Performance Products in Guilford, CT. Registration starts at 8:30 a.m. and judging starts at noon. Pre-register before July 1st for $5 discount. Guest judging by WTNH Channel 8 meteorologist Gil Simmons. Rain date is Sunday, July 15.